The next SQL Server User Group meeting in Bristol is a Pre SQLBits meeting on 14 July 2014 with Brent Ozar. The session is entitled: Are AlwaysOn Availability Groups Right for You? SQL Server 2012's hottest new feature combined the best of clustering, mirroring, and replication to give you high availability plus scale-out reads. Does it make sense for your database server? Brent Ozar has deployed AlwaysOn AGs in high-profile setups like StackOverflow.com, AllRecipes.com, and Discovery Education. This session is for DBAs who are considering implementing AlwaysOn AGs, or who are wondering why their AlwaysOn setup is only OftenOn. 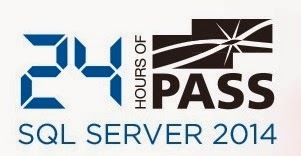 Another 24 hours of PASS is scheduled on 25 and 26 June covering end to end SQL Server 2014 topics.